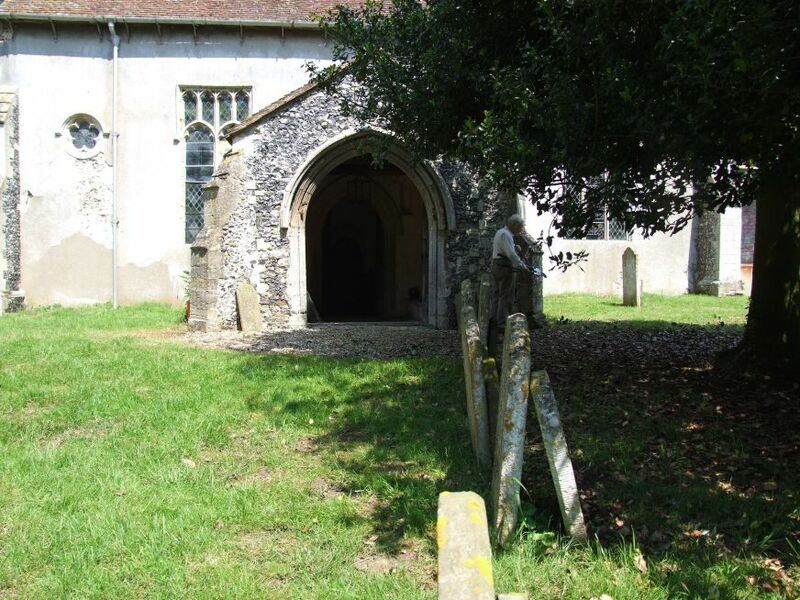 I had begun revisiting the churches of Suffolk, and in June I came back to an area in the north of the county which I had first explored in 2001. I know this, because I looked it up in the Bedingfield visitors book, which I shall come back to in a moment. 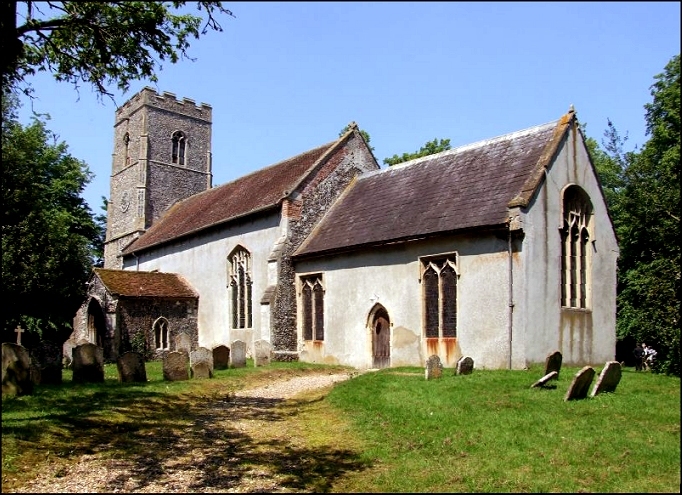 Bedingfield is the sort of village which not many people visit, I'd guess; not particularly on the way to anywhere, or containing anything terribly significant, but very pleasant nonetheless, and its pretty church a delight after the sadness of nearby Rishangles and Southolt. The tower is an early one, but earlier still might be the curious round window in the south nave wall beside it. 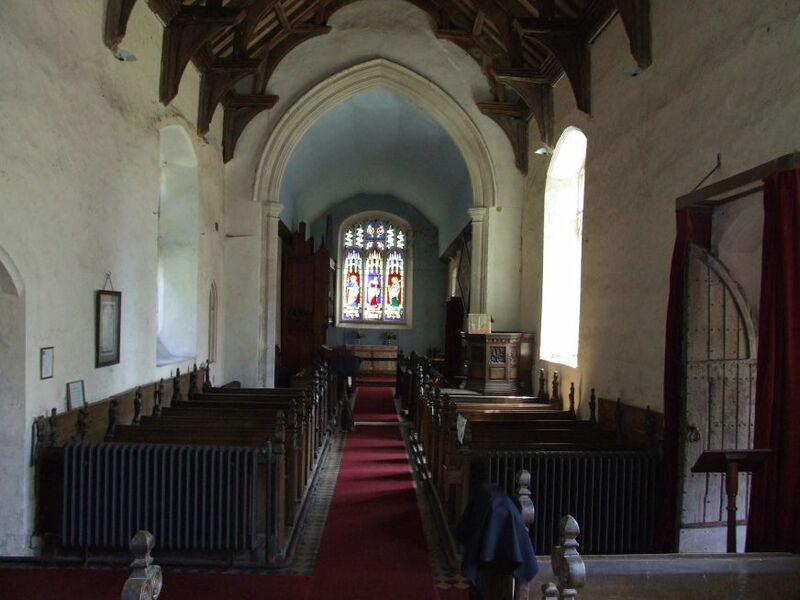 The tracery is clearly Victorian, and the whole thing may be; but the splay inside suggests a Saxon origin, so perhaps the Victorians uncovered it, and restored it to use. I had first come this way on a crisp, winter afternoon, but on this gorgeous summer day the sun was beating down from a clear blue sky. 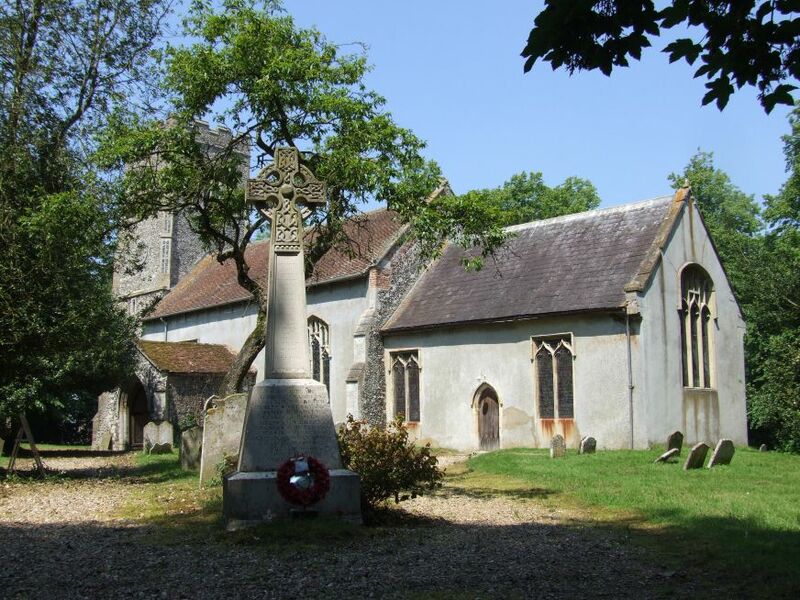 The graveyard was being put to rights, given its annual mow and tree trim. Even the Rector was helping out. 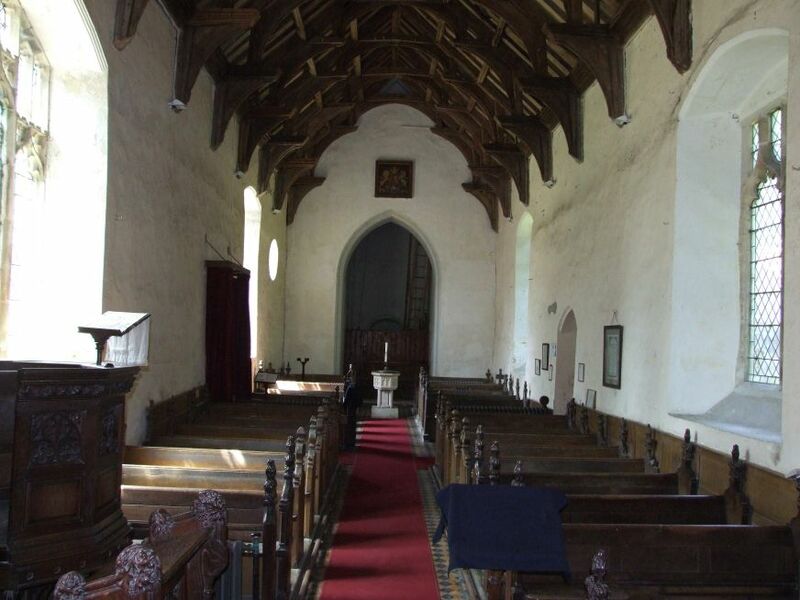 The ancient porch was cool after the heat of the sun, and stepping sown into the church itself was cooller still. This is a light church, and the range of good 19th and 20th century glass enhances this and fills it with colour as well. Most striking is the lush Morris and Co glass of 1929 in the south of the nave. It shows the Annunciation in blues, greens and reds. Beneath it, an angel attends the dedicatory inscription to Victoria Shaw, by her friends in the Mothers Union. The main family remembered in St Mary are the Bedingfields themselves. The east window is a trio of Saints. The central figure is St Helen, and she is flanked by James and John. This has a dedicatory inscription to John James Bedingfield, who died in the 1850s. The Bedingfield coats of arms appear above the arch canopy to the central figure. Another fine pair of windows are in the south side of the chancel. One shows the figure of Charity, a woman holding a baby and giving bread to a child, again above the Bedingfield arms. The other shows Christ raising the daughter of Jairus from the dead. 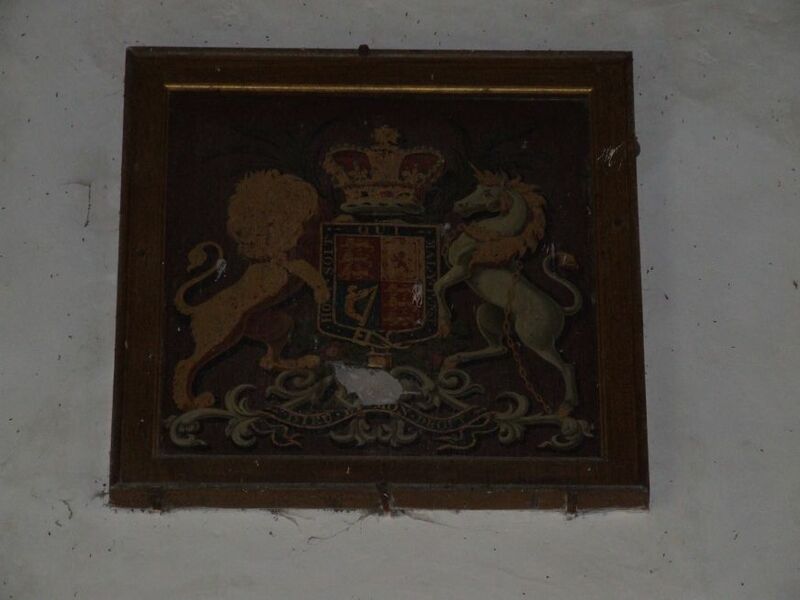 A Bedingfield hatchment hangs on the south wall of the chancel. 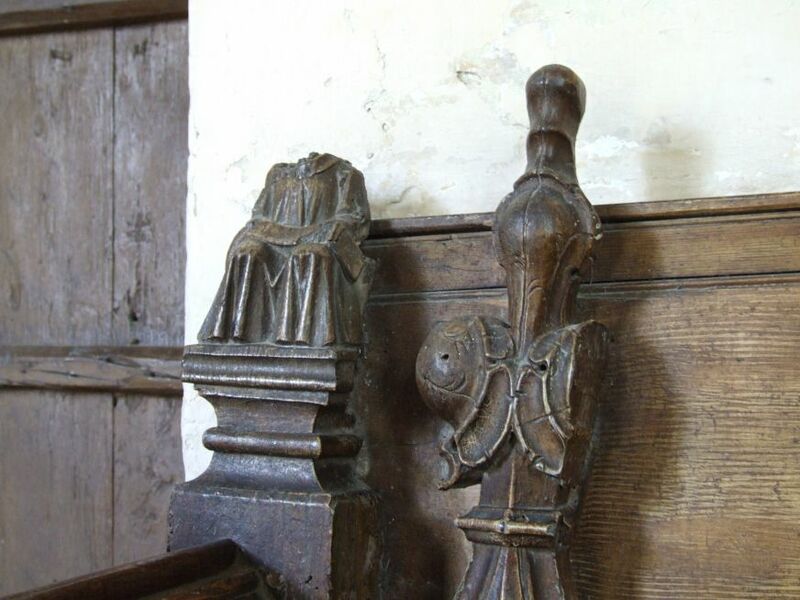 Perhaps the most exciting survival at Bedingfield is the set of terribly mutilated bench ends towards the west of the nave. These are in such poor condition that they generally don't appear in the guide books, and at first you might not notice them, thrown rather into shadow as they are by the eccentric early 17th century poppyheads. And, when you do look closely, there is very little there which is identifiable. But I found them exciting because the quality of what remains is enough to show that these came from the same workshop as those at nearby Tannington. Perhaps they are even from the same set, because the Tannington set includes the Seven Sacraments, the Evangelists, and the Seven Deadly Sins. But very few of each survive at Tannington, even in mutilated form. Are these the mutilated remains of the others in the same sequences? At one time, might they all have been in the same church? If so, I wonder which church it was? Intriguing. 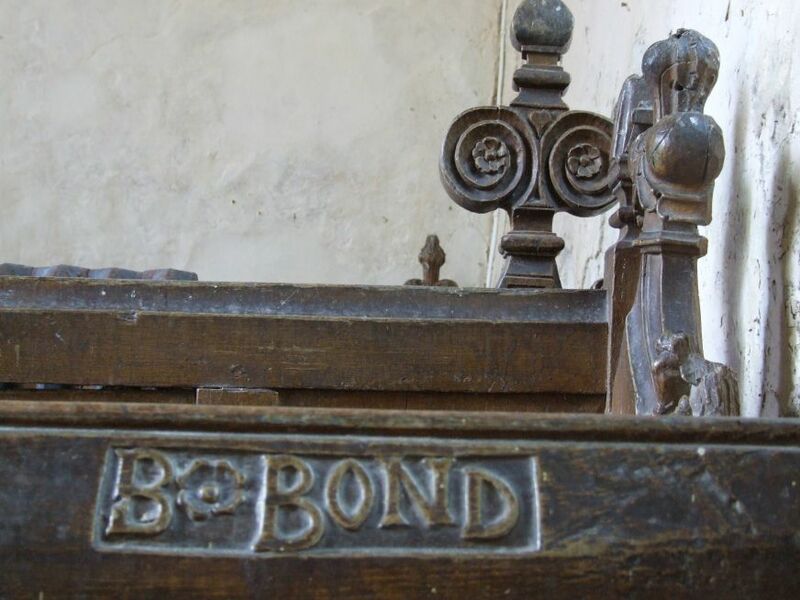 One of the 17th century benches includes the carved name Bond, perhaps a churchwarden. The mixture of medieval and early modern work is very atmospheric, haunting reminders of the people of the past who had sat here. 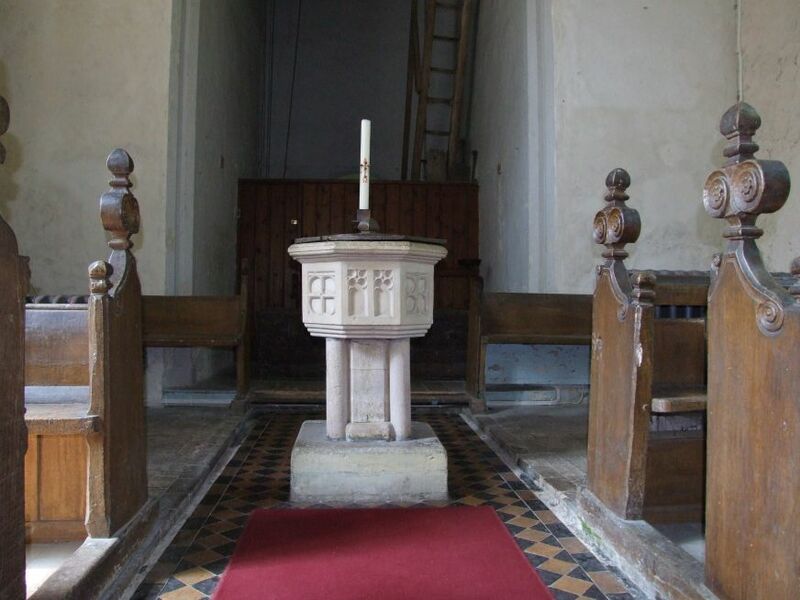 The font is an elegant 14th century octagonal one, panelled with tracery patterns and reset on a collonade. t suits this pretty church perfectly. 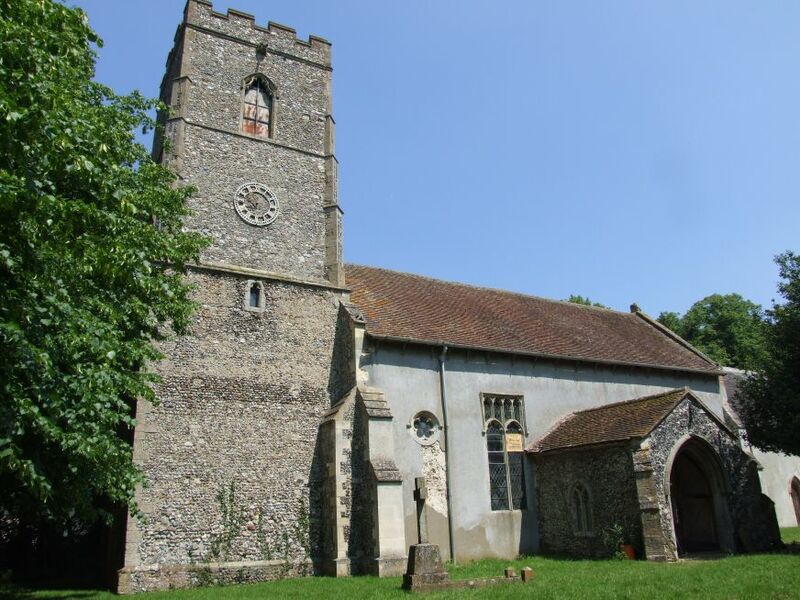 St Mary is a delight, and I will not leave it so long before coming back here again. Before leaving, I signed the visitors book. For only the second time in visits to over two thousand churches, I found myself making the very last entry on the final page. Resisting the temptation to add By hook or by crook I'll be last in your book, I turned back to the very first page, only to find that the book been started in June 1961, just a few days after I was born.